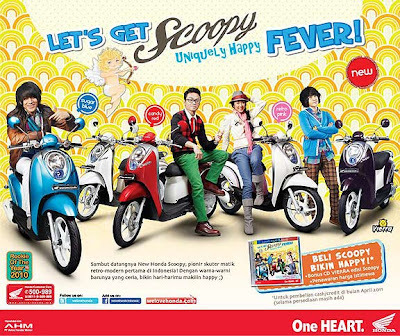 Do you remember THIS post I did on Scoopy in August 2010? Well, Honda has come out with two new colors for 2011 and I still love them. They are just so cute! The new colors are blue and red. Other colors available are white, black, pink, violet and green. The trim and seating come in a variety of choices, such as white, black or tan. The price tag? About Rp. 13,725,000 ($1,600 US).